This year’s meeting of the World Economic Forum (WEF) in Davos has been overshadowed by ongoing wars in Syria and Afghanistan as well as a bleak economic situation in many African countries bringing many thousands of refugees to the western world. The looming Brexit and the government shut-down in the US have sent alarm bells ringing for the world economy. The ongoing trade war between the US, China and Europe have not brightened the outlook either. The growth forecast of the IMF has just been diminished and Chancellor Merkel in her speech at the WEF on Wednesday warned that the global financial system has been damaged significantly. Climate change is another dangerous development threatening our global economy. In his opening remarks at the Pakistan Breakfast Marik Dusik of the WEF, Deputy Head for Geopolitical and Regional Affairs, Minister of the Executive Committee WEF, underscored the importance of this event for WEF. The Pakistan Breakfast, now for the 18th time in a row at Davos and entirely funded by private corporate entities, had become an integral part of the WEF Annual Meeting at Davos. Sponsored and organised initially by Pathfinder Group, this unique presentation of Pakistan in this global forum has for many years been a tremendous platform for both current and past leaders Pakistani to attempt to improve the image of Pakistan. This unique event is now co-sponsored for the last four years by the Founding Chairman of Martin Dow Group late M. Jawed Akhai. Unfortunately, Jawed Akhai’s untimely death a little over 3 months ago endangered this fruitful cooperation from continuing. However his son Ali Akhai and daughter Anum Shajani remained true to their father’s spirit and commitment. When the touching story of his father’s untimely demise was briefly narrated by Ali Akhai, many had tears in their eyes! Arranged as usual in the Steigenberger Belvedere Hotel in Davos the objective of the traditional event remained the same, to improve the image of Pakistan that has been negatively projected in the world media over the years by keeping. This has been quite deliberately done by keeping Pakistan’s positive features deliberately left out and embellishing the negative ones in the reports. Where it is the duty of our official diplomatic corps, aided by the govt media machinery, to counter this negative perceptions, Davos is a living symbol of their continuing failure to cope with their primary task to work for Pakistan’s good in the international forums. Having been a star at Davos in 2011, 2012 and 2013 as a Chief Guest at the Pakistan Breakfast, Imran Khan did not come this year for his own reasons, is it “a waste of public money and time for Pakistan’s Foreign Minister, Finance Minister etc not to come? Imran Khan, look at the simplicity of the Balochistan delegation, the CM, his spouse and Senator Anwaarul Haq Kakar. Three people, and no protocol, not even from your Embassy in Geneva except briefly at Zurich Airport. On the dias for this year’s Breakfast was the former Chief Justice (CJ) of Pakistan, Mian Saqib Nisar, who had retired from his post only few days ago. Zarrar Sehgal Co-Chairman Pathfinder Group, and one of the leading lawyers in the world, duly acknowledged by both Legal 500 and US Chambers of Law Directory, said that the former CJ had set a new direction to the judiciary of the country. Zarrar gave a very frank rendition about the opportunities, but also about the problems that Pakistan is facing. Zarrar counted the many initiatives that the former CJ and his fellow justices in the judiciary had taken under his guidance during his term in office. Zarrar said the CJ had emphasised stress on education being a human right its provision is an obligation of the government as it has been laid down in the Constitution of the country. The CJ, he said, had repeatedly underscored the need to reform the educational system of Pakistan. Opening his remarks the CJ said that until today successive Pakistani governments have failed the education sector. The SC therefore has initiated a Commission on Education that has submitted a Report to the Federal Government recommending reforms to bring education in Pakistan up to international standards. The government has accepted the plan and is working on its implementation. The CJ explained the SC’s second initiative, the reform of the “health care” system in another report. Acting upon this the government has issued health care cards to over half a million people who otherwise would not have been able to afford proper health care. The former CJ referred to a common critique that is brought in the media saying that the SC is interfering into matter that are not its task and rank, that this judicial over-activity has crossed some lines. Mian Saqib rejected such argumentation and insisted that it is the obligation of the judiciary to order the implementation of such parts of the Constitution or other laws if and when the provision of the rights that are given in the constitution and denied to the people. Mian Saqib Nisar talked about another matter close to his heart, the water situation in Pakistan. Pakistan is suffering from heavy water scarcity which is aggravated by the fast growing population numbers. Water management has been neglected by successive governments in Pakistan and plans to construct much needed dams are 49 years old and nothing has happened. The former CJ initiated a call for donation for the construction of dams and he said that even if not enough money is collected to finance a dam- the initiative has created a feeling of ownership that is evoking the support of the people for the construction of dams. The last important question that Mian Sahib talked about at the Davos event was population control. Each day in Pakistan 14000 children are born often by mothers that were too young, not well nourished with the result that child mortality is high and children born of poor parents suffer from stunted growth and other avoidable diseases. Under his guidance again a Committee produced a birth control plan that has been submitted to and accepted by the Federal Government. The CJ said that these initiatives will change Pakistan for the better and he asked investors and friends of Pakistan to come and support this new development with their engagement. To the public in the West this narrative may have sounded strange, no Chief Justice here would initiate or interfere into policy making in such a way. But the Pakistani state that was created only seventy years ago has been weak from the beginning and some peculiarities have developed in order to make up for this weakness. This year instead of PM Imran Khan the Chief Minister of Balochistan Jam Kamal Khan represented Pakistan. This was truly a defining moment, an elected leader from Balochistan representing both Pakistan and his Province on the world stage. Territory-wise Balochistan is the largest province of Pakistan and, in public perception at least, the most troublesome Pakistan being represented by Balochistan was an important innovation. Baloch people have not been treated fairly by successive Pakistan govts, this has sparked repeated secessionist movements aided mostly by India and Afghanistan. The presence of an elected Baloch leader representing Pakistan at a world stage like Davos is a tremendous sign that times are changing. Elected CM in August last year, the third generation in a row of his family to be elevated to this position, Jam Kamal Khan is the President of the Balochistan Awami Party (BAP). In his presentation the CM elaborated on the political situation availing Balochistan in province, rich in natural resources but lacking in infrastructure and skilled workforce. He promised that governance, right now one of the major problems, will be improved step by step when a policy that shuns nepotism and instead brings the right person into the right job. He said this will change the equilibrium in the province. He also invited investors to help mastering this change. 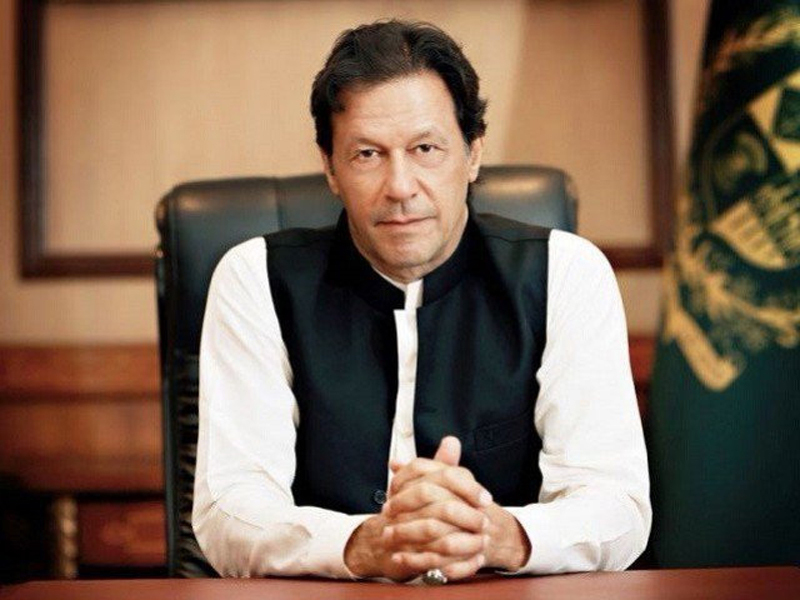 Other than previous governments he has the advantage of firm support of the Federal Government and huge investment coming in through CPEC and other projects. But there is room for foreign investment he insisted. The CM was assisted by the truly brilliant Senator Anwaarul Haq Kakar, Without question this man has a major role to play in future Pakistan politics and governance thereof, one cannot say enough about him but it also shows Jam Kamal’s clear headedness and positive personal confidence to have such an advisor close to him. Maybe Imran Khan can learn from him and get rid of some of these around him who do not deserve to be in the upper echelons of governance. The presentation of both Chief guests were followed by remarks by Lt Gen Asim Bajwa, Commander Southern Command of the Pakistan Army, who described the current security situation as much improved and promised that the army would support the positive developments in the province. The General was brilliant in explaining the multiple dimensions of the security situation in Pakistan, and more particularly how Balochistan was impacting on it. When people outside Pakistan know at all about Balochistan they likely only hear about the attacks of militants at government projects, these actually have become few and far between. At one time the Zaireen going to Iran by road were always at risk, the number being about 20000 a year. The situation has improved so much that ten times that many did the trip through the Chaman border in 2018. I personally missed the constant presence of Arif Naqvi at our Pakistan Breakfast. He was a pillar of strength to us in boosting Pakistan’s image at this world forum. Incidentally former PM Shaukat Aziz walked in at the fag-end of the meeting. Interventions from the floor included a short but effective statement by our own Sharmeen Obaid-Chinoy who commended the former CJ for his great Jihad for the rule of law and equal rights for women. Chairman East West Institute (EWI), Perot Group of Companies and Hillwood, Ross Perot Jr said that he has come to the Pakistan Breakfast regularly for many many years, he said this was one of the highlights of his annual Davos trip. He said he was very impressed by the two main speakers, particularly former Chief Justice. He said Balochistan has a great future. The enthusiasm to go on with the interactive debate was only curtailed by Davos time constraints. The Pakistan Breakfast was a good day for the rule of law and a good day for Balochistan. Even without Imran Khan who should have been there, it was a great day for Pakistan. (The writer is a defence and security analyst).